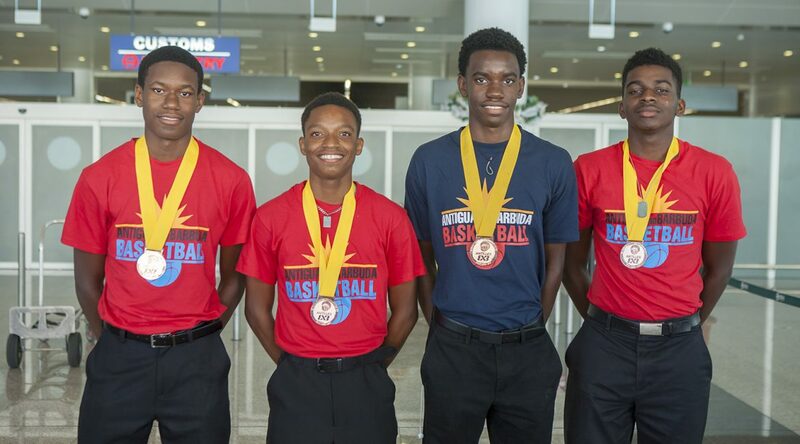 Over the weekend, the historic National 3×3 Youth Basketball Team, comprising of Judah Ferris, Sheldon Gomes, Eric Joseph Jr., and Ahmani Browne, competed in the first ever International Basketball Foundation (IBF) Antilles 3×3 International Youth Championships held in St. Lucia. The competition featured teams from Aruba, Barbados, Guyana, Saint Lucia, Saint Vincent and the Grenadines, Trinidad and Tobago, France (Guadeloupe, Martinique), and the Netherlands (Curacao, Saint Maarten). Over the two-day Championships, the young males played a total of six games, edging out teams from Aruba, St. Vincent, Curacao, and Barbados. Although the team suffered the only defeat in their group to Guyana, they successfully advanced to the Semifinals. After a competitive Semifinals matchup with opponents Martinique, the Pitbulls’ journey came to an unfortunate end. However, the Antiguan and Barbudan males managed to capture the third place spot in the Championships, while Martinique and Guyana, secured first and second places respectively. The Antigua and Barbuda Basketball Association congratulates the young athletes, who made history in Antigua and Barbuda, and is committed to the continued development of youth basketball.